BUMP is the place to Safely Buy & Sell Streetwear. It's hard to find, buy & sell streetwear. BUMP is a community marketplace dedicated to limited-release streetwear from brands like Supreme, Yeezy, Palace and more. Quickly list an item for sale and BUMP surfaces your item to interested buyers. 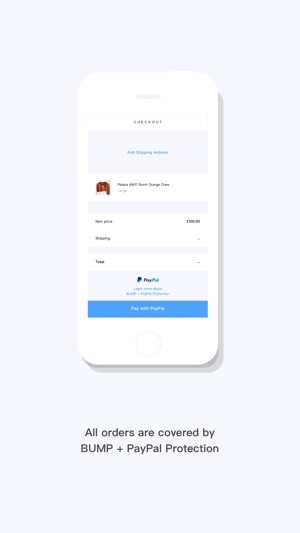 Connect your PayPal account to shop with BUMP + PayPal Protection. Got any questions or want to get involved? First of all I have never written a review on anything but my experience with this app was so awful I had to warn others. I purchased 3 separate items from different sellers on this app and none of them shipped. I contacted the sellers multiple times to check up on the shipping and only one responded and then after that, they never responded again. I haven’t received any of the items and had to contact support to get a refund. I’ve also seen so many fakes and obvious scams such as sellers trying to use another form of payment instead of the in-app purchase system. 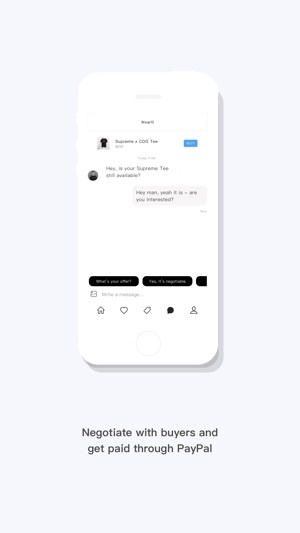 Sellers also can post something for sale with out connecting a PayPal to their account. Why? If this app discourages using anything other than the in-app purchase system then why do they allow someone to post something with out anyway to pay them? I try to contact the seller and ask to connect a PayPal but the in-app messaging won’t allow you to send the word “PayPal” making it even more frustrating to purchase something. 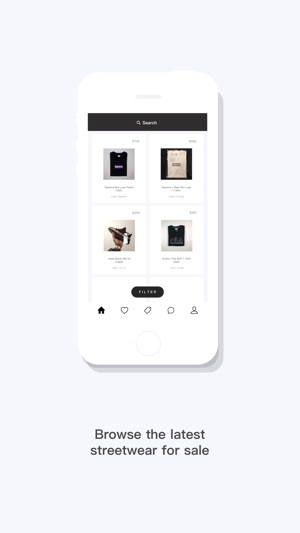 If you are looking for an app to purchase street wear on, go get Grailed. I’ve purchased many items from it and gotten immediate responses from sellers and easily paid for it. I’ve never seen a fake on Grailed and I don’t expect to. Their moderator are great at their job and take anything fake down almost instantly. Save yourself the headache and use Grailed instead. Sorry to hear you're in this position - if you are still having issues with those sellers please contact hello@sobump.com and we will support you. A user cannot create a listing on BUMP without having connected their PayPal. 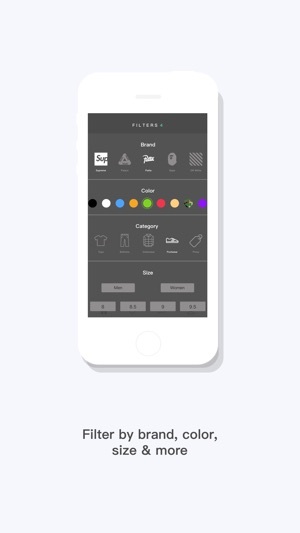 I used this app for about two months and listed three items in total. I had atleast 40 of people demand that I trade with them and ship first(obviously a scam). After this happened I decided to look for other options and listed my items elsewhere. I ended up selling two of my items on other platforms and marked them as sold on the Bump app. Months after these items were marked as sold I sold another item for 1200$, less then four hours after that I was logged out, banned, and the sale canceled. I contacted support and went through a two week long process of emailing back and forth with a bump rep that obviously had no intention to help me out from the start. Through the process I was told I was banned not because of the item I had sold on bump but the ones not even for sale that I had got rid of months prior(side note- I have since communicated with the people that bought these two items and they vouched for the authenticity of the items). After a ton of dumb emails I was asked to provide authentication of the items and I did. To no response for a full week until I prompted the bump rep and all I received back was “your item is fake so the permanent ban stands”. All in all the community is very toxic, more likely to sell something fake or scam someone for a trade and the customer service is terrible at best. I was shopping for a bale white college tee size large and I came across this person who was selling it and I tried getting in contact with them, they never replied or sent a message and before that I bought off of somebody else like an impulse purchase but that person did send the item even though they never messaged so I just thought it would be the same with this person. I purchased the item and 2 days later he still hadn’t shipped it, i thought it wasn’t a problem since it happened with the other item as well. 4 days later they still hadn’t shipped so I got worried and clicked on “resolve a shipping issue” and it said if they don’t send the item within a week, contact our team. So I did and they told me how I payed, I told them and next thing you know they gave me a refund but I didn’t get the shirt I’ve always wanted:( but other than that the Bump team was really helpful with the process!! Thank you BUMP team.